Tilt & Turn Windows and doors are uniquely designed to allow super ventilation, wide opening and easy access to the outside. Operated by a single handle, tilting & turning units can open like a regular window & door, or the opening window panel can, alternatively, be tilted backwards. 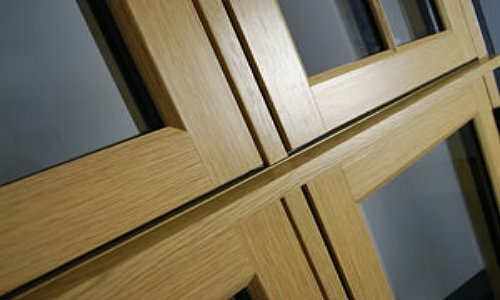 The specialised hinge system allows for very large opening panels which is one of the reasons that they can be used as doors. 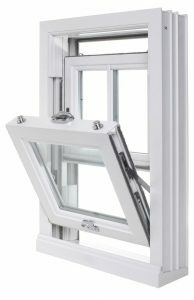 The aim of this article is to highlight the major features of, and differences between, each of the types of tilting / turning windows and doors, including a short guide to average prices. 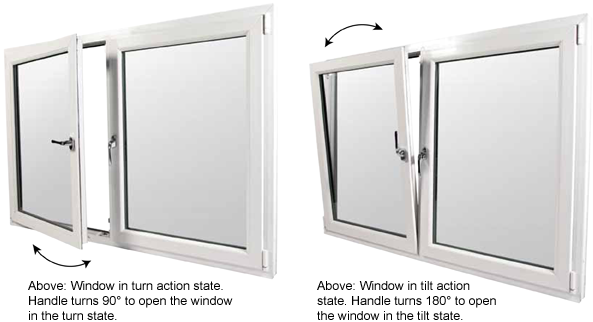 What is the difference between a tilt & turn window and a tilt & turn door? In terms of function, there is no difference between a window or door of this type. Both will have the ability to tilt or turn one or more sections of the installation. The difference will be purely about size and where or how the unit itself is used. Tilt and turn doors are clearly going to be larger than their window counterparts, and will be used where entry and exit are required. They are likely to be most often used as some kind of patio or conservatory door. All of the functions are controlled by a single handle, which makes them quite simple to operate. If you turn the handle in one direction, it will activate the tilting action. If you turn the handle in another direction, it prevents the tilt function and allows the moving section only to opened and closed like a regular door or window. For sliding or reversible variations, the positioning of the handle will enable or disable these functions also. You should not attempt to slide the unit whilst it is tilted. In most units the slide and tilt features do not function at the same time for safety reasons. Both window or door versions will open inwards. The door design functions in exactly the same way as a regular external door. The window version has an extremely wide opening angle that is at least 90 degrees (useful as an upper floor emergency exit). Both window or door versions will tilt inwards. The door design cannot be “turned” or opened whilst it is tilted and the tilt angle is mechanically restricted to around 15 degrees for security and safety reasons. It is the door version that is most often fitted with the slide function. It allows the unit to function much the same as an inline sliding glass patio door, which, is the favoured use for this type of door design. Doors can’t tilt & slide at the same time. What do reversible windows look like? The design is remarkable in that the whole moving section can rotate within the frame by about 180 degrees. The rotation is so that the outside area becomes very easy to access (great for cleaning). This huge amount of window movement allows for a great deal of ventilation, but also gives easy access from outside from unwanted guests (human or animal) if left open and unattended. What do tilting sash windows look like? A sash window is one in which the moving / opening section of the window slides up & down vertically within its own frame. The moving section is set within tracks built into the side window frame. The weight of the moving section is counterbalanced, either by weights attached to it by a rope & pulley or by spring tensioners. By fitting a hinging system that allows the double glazed window to disengage from the side track, the window is able to tilt. The tilt action can be inwards from the top, from the bottom or even outwards from the top or bottom. My thoughts on windows that tilt outwards from the bottom are that they seem quite impractical, especially if they are open during a rain shower, as they will just direct the rain water straight into your house. In terms of how big you can make an individual tilt & turn window, once they get to the stage where you want the opening section wider than its height, you are going to hit a practicality limit on how wide you can go. The strain on the hinges, not to mention how much room the window will need to swing it open internally, has to be taken into consideration. 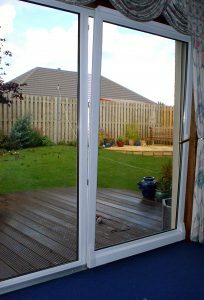 For a patio door installation, the usual height limit would be around 2200 mm and each individual moving panel width could be “maxed out” at around 1500 to 2000 mm. Solid or veneered wood, uPVC or aluminium are all used to make tilt & turn windows, but I would say that there are more uPVC examples around than others. Wood: Can be solid wood such as hard or engineered wood. You can also get softwood with hardwood veneers that can be factory painted or stained to order. UPVC: You can see this material in used in loads of windows and doors. Decent colour range and timber-grain effect surfaces. Aluminium: Has the structural strength to use slimmer profiles and it’s long lasting, available in 100’s of colours + wood-grain surface options. You can get aluminium clad, timber versions (aluminium outer skin), with options to have 2 colours mixed for inner and outer skins. 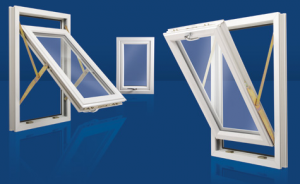 It’s essential to consider the impact of the energy saving properties of a replacement window, and modern examples of tilt & turn windows are built with this in mind. Double or triple glazing: Every installation should feature at least double glazed window casements. Triple glazing is an option, it may be more efficient, but will put up the initial cost and not recoup this quickly. Inert Argon Gas filled Double Glazing: To improve the insulation properties further, you can opt for gas filled sealed double glazing. Low-e glazing: Metal oxide coated glass on the outside or both sides of the window help to keep out harmful radiation and “bounce” your heat back into the room. 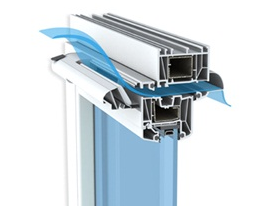 Warm edge spacer inserts: Keeping the 2 panes of glass separated are the spacers. “warm-edge” versions of these spacers cut down on heat transfer. Trickle vents: Modern highly insulated houses need ventilation to prevent condensation build-up. Windows fitted with trickle vents bring controlled draught free ventilation to prevent condensation. Your new or replacement window or door will have a WER, that is a Window Energy Rating or Door Energy Rating. This label indicates the overall performance of the complete unit. Alphabetically and with an additional visual colour code, ratings rank from A, or even A+, to G. With G being the lowest energy rating. The rating of level C is the lowest accepted by current UK building regulations, with some very few exceptions for special properties. Colour coding can run from the colour purple (A+) to the colour brown, with brown indicating the lowest energy rating. The Thermal Rating Register (TRR), the British Standards Institution (BSI) and the British Fenestration Rating Council (BFRC) supply energy rating labels. Don’t ignore the WER, as it forms part of your property overall EPC (Energy Performance Certificate). You must have an EPC for your property if you buy, sell or rent a home in the UK. You want to make your home as secure as possible, so there are some features on modern replacement windows & doors that will do just that. Multiple-point locking: This type of feature engages “mushroom hooks” into several places around the main window or door frame. 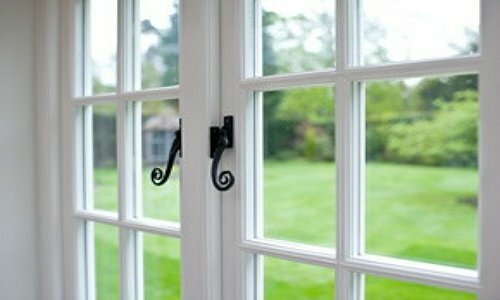 Internal glazing beads: The glass in a window or door is fixed into position, then locked into the frame by glazing beads. Having the window beads inside makes them inaccessible to burglars intent on removing the glass from the frame in order to break into your home. Locking handles: Fitting a high quality internal handle with a quality lock is essential. Toughened or Laminated Glass: Just using toughened glass on the inside of a double glazed unit improves security dramatically. 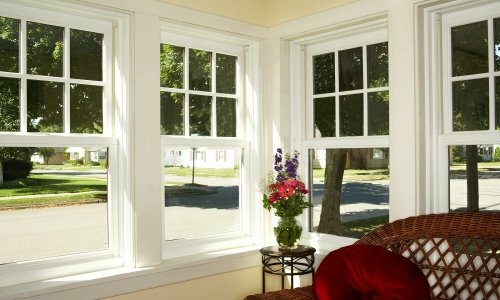 How much do tilt and turn windows cost? Order volume – the more units you order means the average price per window should work out less. Construction material – wood, aluminium and uPVC are all priced differently. Energy rating – Better performing products usually cost more than those with lower energy performance. Cost of labour- how easy or difficult your project is to complete will effect the price charged. Tilt and turn patio doors prices – If you are looking at aluminium, the cost for both supply only and fully fitted will be higher than for timber veneer or uPVC versions. A tilt & turn patio door sized around 2200 mm high x 2800 mm wide will cost in the region of £1,100 to £1,500 depending on specification. Fitting is extra. Not sure what you want, then why not check out other styles of windows? Can I have coloured uPVC Tilt & Turn windows? Yes you can. With up to 20 basic colours for uPVC there is a decent choice in the market. Wood grain finishes are also available in uPVC which adds another dimension to your window look. I hear tilt & turn doors have high thresholds, is this true? Yes it could be said that the threshold can be high on a tilt & turn door. Although easily manageable for able bodied persons, you may have to consider your options if you need wheelchair access. How long does it take to deliver my new windows? Most manufacturers or suppliers will have what is known as a “lead-time” (leed, not led). This is the time frame for making and delivering the order. Allow 4 to 6 weeks. 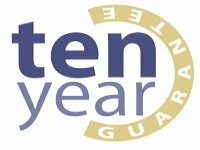 Why should I use an accredited installer? There are at least 2 good reasons to go for a FENSA, CERTASS, registered installer. 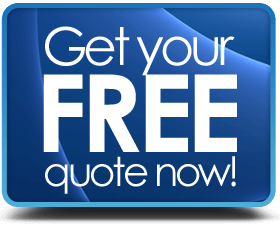 they are independently pre-vetted for competence and can certify your installations as building regulation compliant. You get a decent level of consumer protection and somewhere to get redress if there are problems with the installer.